Gourmet Snacks | Spices Etc. Holy Moly, we couldn't resist this one! This product is a little out of character for us, but they are so good! We recently discovered these nuts at a wedding party for some friends! 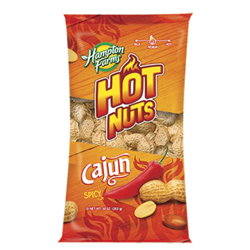 They are wonderfully hot and leave you with a heat that is unbeatable and a yearning for Cajun Country! There's something different about the Geechie Boy Farm. It feels homegrown, historic and special. It's a family operation without all the commercial bells and whistles. Geechee Boy has a passion for the land and for their products. Their expertise is evident in every bag of grits! Made from yellow corn, Mill Yellow grits are coarse ground in their antique mill, which helps retain the natural oils and flavors of the yellow corn. The Mill White grits are made from white corn and are perfect for shrimp and grits!! Or, buy both for a TRUE Southern culinary experience!! Mild Pickled Okra picked directly from the fields of South Georgia, Spices Etc. 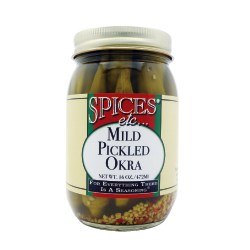 Mild Pickled Okra are made with hand selected okra packed with fresh garlic, onions and spices for a great snack or addition to your dinner table or picnic! 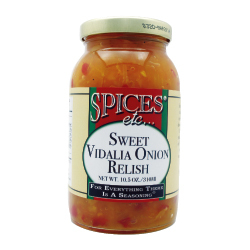 Georgia's world famous onions are the base for this wonderful Vidalia Onion Relish that will make your hot dogs and chicken salad the best! Your picnic guests will love your cookout! NEW! 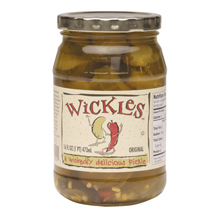 Wickles are "wickedly delicious" pickles and Wickles are our new favorite snack. Wickles go great on hamburgers and in potato salad. 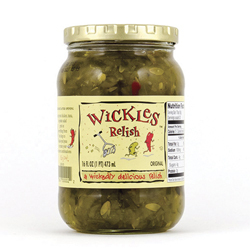 Wickles can heat up your relish or whatever your tastebuds desire. Enjoy these little devils!